Emergency First Response (EFR) is an international CPR, Automatic External Defibrillator (AED) and First Aid training organisation. 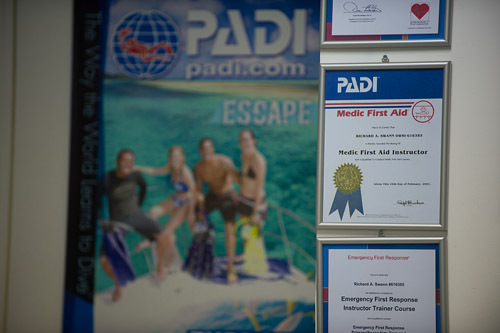 Since 2009, PADI incorporated the Emergency First Response Instructor (EFRI) as another prerequisite for candidates to attend their PADI Instructor Examination. 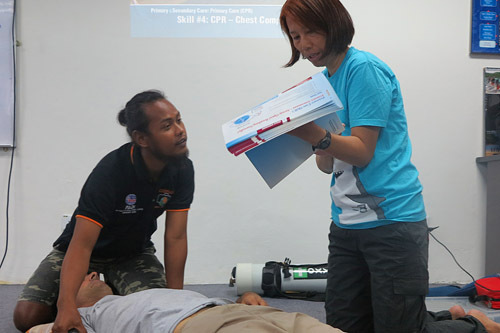 During the 2-day EFRI course, you will develop your instructional abilities as an Emergency Responder. 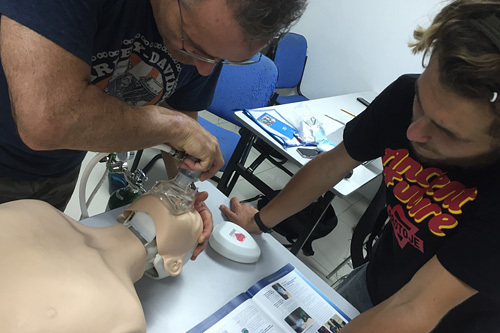 We will provide you the thorough training you will find necessary and beneficial to teach: Emergency First Response Primary Care (CPR), Secondary Care (First Aid) Automated Defibrillation (AED) for Adults, Children and Infants. Methods of training will be in the form of independent study, classroom sessions, practical assignments and you will learn the options you have to conduct Emergency First Response courses in future. You will be confident in your role as an Emergency First Response Instructor (EFRI) as you structure your students’ learning. Emergency First Response determines specific requirements to perform for the Primary Care, Secondary Care and Care for Children courses; after your certification is complete you will have an understanding of performance-based training. 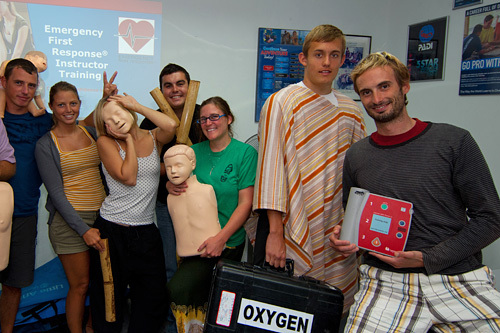 Duties of an Emergency First Response Instructor are to motivate your students and evaluate their knowledge development. 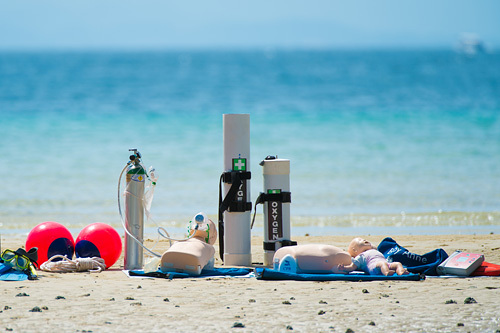 Deliver an effective presentation of the EFR content, teach and develop effective development in skills practice and presentation of scenarios for learning experience. 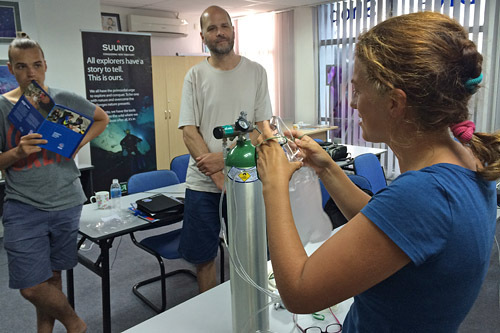 The Emergency First Response Instructor (EFRI) qualification is not specifically for divers. Non divers can join this course and become Emergency First Response Instructors (EFRI’s) which is a huge benefit to any organisation or company since Emergency First Response Instructors (EFRI’s) can independently teach and qualify Emergency First Responders. • Completed adult, child and infant CPR with first aid training 24 months prior to the course (or be a practicing medical professional i.e. physician, EMT, paramedic and registered nurse). 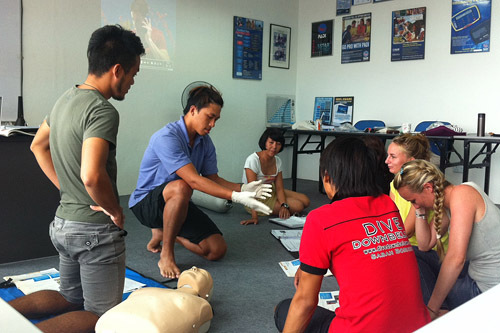 Our IDC internship program is inclusive of the EFR Instructor course and the educational materials for the training also. If you are currently a CPR/First Aid instructor with another CPR/First Aid training organisation, you may earn the Emergency First Response Instructor rating once the EFRI Crossover course is completed. Past experience in teaching is credited towards an EFRI qualification with the Crossover course. 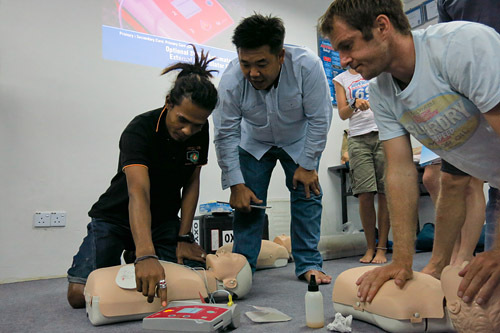 It will focus on familiarizing you with the philosophy, goals and educational structure of the EFR course. 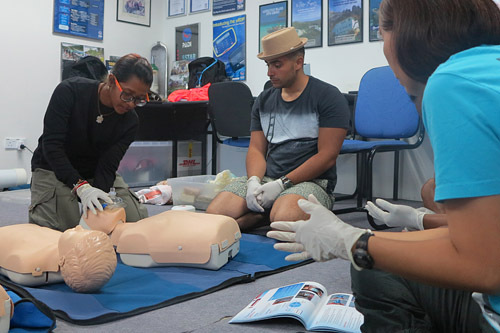 Any CPR/First Aid Instructors qualified with a current adult, child and infant CPR/First Aid teaching certifications from other CPR/First Aid training organizations are eligible to enrol. 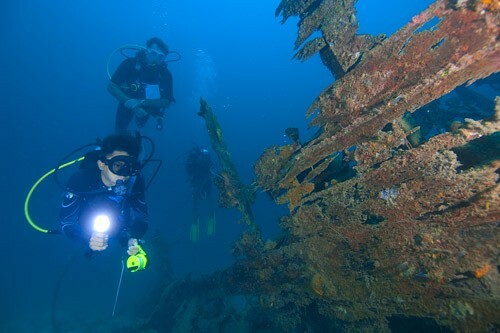 You can get a head start on your knowledge development for the PADI Emergency Response Instructor Course with a refresher course! 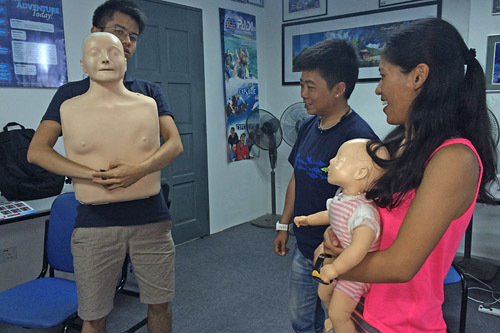 We can help you excel as an educator in scuba diving and in emergency first aid training when you decide to Go PRO with us at Downbelow.